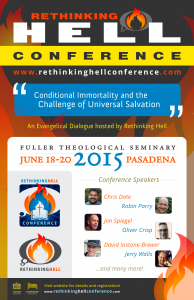 Rethinking Hell contributors Nick and Allison Quient join Chris Date to respond to some clips from Dr. Robin Parry’s plenary speech at the 2015 Rethinking Hell Conference, in which he presented a theological case for universalism. This episode contains the second half of their two-and-a-half-hour discussion; listen to the first half in episode 76. 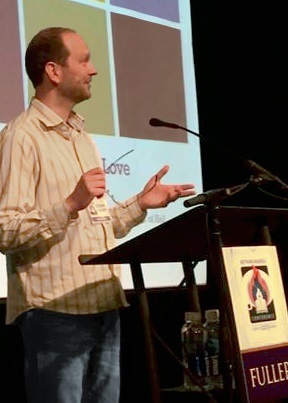 Rethinking Hell contributors Nick and Allison Quient join Chris Date to respond to some clips from Dr. Robin Parry’s plenary speech at the 2015 Rethinking Hell Conference, in which he presented a theological case for universalism. This episode contains the first half of their two-and-a-half-hour discussion; the second half will be made available in episode 77. After a successful and inspiring first conference in Houston last summer, we are looking forward to the prospect of more conferences both in the US and abroad! We are pleased to now announce the second Rethinking Hell Conference, which will take place at Fuller Theological Seminary in Pasadena, California from June 18-20, 2015. 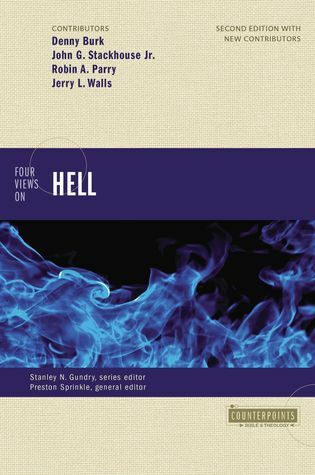 In selecting this theme, Rethinking Hell is promoting dialogue among evangelicals, by bringing our own view of conditional immortality (also called annihilationism), into conversation with universalism. 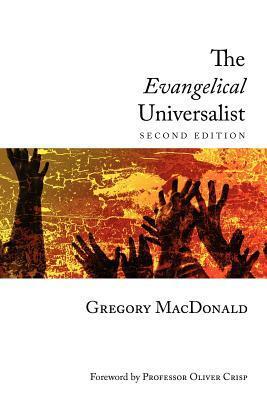 Universalists believe that hell is a place of purification, out of which God will eventually redeem all who are sent there. This view has gained some popular momentum within evangelical communities since the publication of Rob Bell’s best-selling book Love Wins. 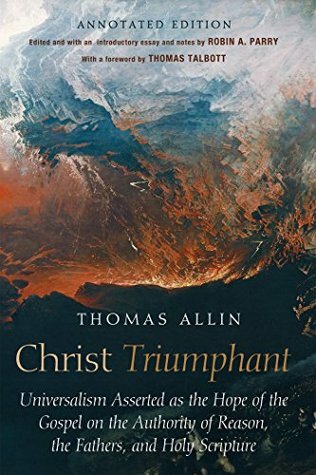 As well as the engagement of these two views, our conference will also facilitate a “trialogue” with representatives of the widely-held traditional view of eternal torment.